Are you used to spending most of your weekend doing home cleaning chores? Have you ever considered the fact that the way you do these chores may be wrong and that you can significantly speed things up? A lot of people don’t realise this, as they just clean the way they have always been cleaning. But as it turns out, there are a few cleaning mistakes that can lead to difficulties cleaning. 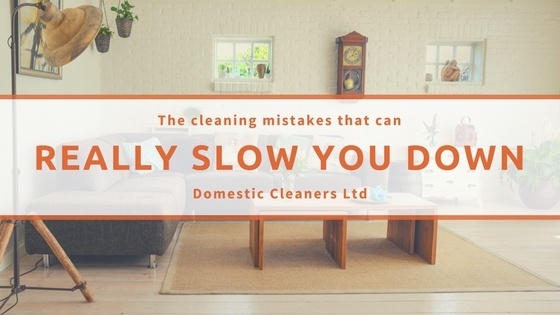 Sometimes you just do not have the time to perform a good thorough cleaning and have to do the so-called speedy cleaning. It is up to you to learn more about these mistakes and avoid them at all costs. Not following the ‘top to bottom’ rule – if you are no fan of hovering, you may rush to deal with it first so that you don’t have to trouble later. However, if you leave dusting as your last chore for the day, you will find dust and spoils falling on the freshly vacuumed carpet. That is hardly ideal, as it only means you will have to clean that much sooner. Make sure you dust from top to bottom so that you can then address the dust that falls onto the lower levels of the room. You don’t sort your laundry – you may feel tempted to do laundry without sorting by colour, especially when the clothes are of similar fabrics and hues. However, pre-sorting may, in fact, prove to be a time-saver. If you invest a few minutes to separate the lint givers from lint catchers, you will not have to rid the fabrics of lint later on. Besides, not sorting the laundry may surely get it mixed up and ruined. Window cleaning on a sunny day – when the sun is up, you may feel motivated to tackle the grime on your windows finally. However, you should resist the urge. You will find the heat drying the cleaning liquid too fast, leaving streaks all over the glass. You cannot call a glass with streaks clean. Washing dishes before putting them in the dishwasher – while it is ok to scrape off any large food pieces, you shouldn’t bother washing the dishes. That is what the dishwasher is for. They will probably not get any cleaner if you do, and you will only waste your time. 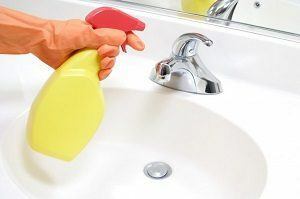 You don’t let cleaning products sit before wiping them off – whenever you want to give your bathroom a good clean, you have to leave the cleaning product to sit for a while. Spraying it on tiles or the sink and then wiping it immediately off does nothing. It is the same for other areas of your home as well. Letting family members walk inside with their shoes on – if you only knew just how many bacteria and germs your shoes collect, you will never allow anyone to step in with their shoes on. Not only does this expose your home to dangerous allergens, but also spoils your carpet. By avoiding these simple mistakes, you can be sure that you will speed up your home cleaning efforts a great deal.